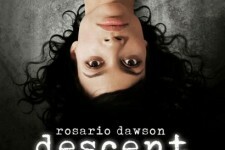 In "Descent," acclaimed actress Rosario Dawson plays the most controversial character of her career: a promising college student who becomes bent on seeking revenge after a shocking act of sexual violence is committed against her. The feature debut of co-writer/director/producer Talia Lugacy, "Descent" is a film that unnervingly tackles some of the country’s most taboo subjects. An official selection of the 2007 Tribeca Film Festival, where it had its world premiere, "Descent," is an unforgettable tale of innocence shattered, dreams destroyed, and vengeance fulfilled, featuring a shattering, career-defining performance from Dawson.